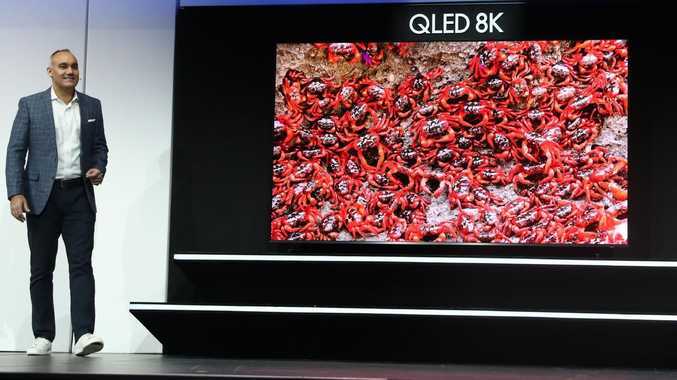 Samsung Electronics America Senior Vice President Dave Das announces the new Samsung QLED 8K television at CES 2019. If you're shopping for a TV, you're bound to hear about the latest 'must have' feature, 8K technology. 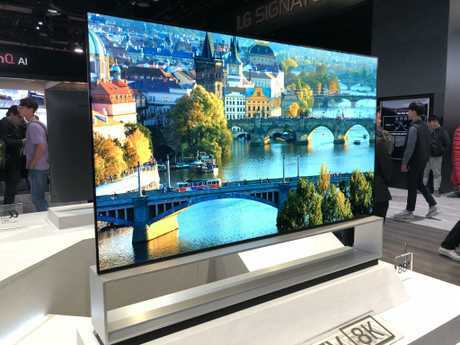 Major television brands like Sony, LG, Hisense, Samsung and TCL are set to launch their 8K TVs on the market later this year. But what exactly is 8K, and should you buy one? In theory, an 8K television features a stack more pixels and a larger screen to fit them all in. Unfortunately, it's not worth the cash, at least not yet. I don't even have a 4K television in my house and that only launched a few years ago. Tech companies claim 4K televisions provide much sharper picture quality because the pixel density has been boosted from 1080p (also known as full HD). Technically, the term 4K refers to the product's horizontal resolution, which is set at 4000 pixels (four times 1080p, or thereabouts). So where does an 8K television fit into all of this? The 8K television has double the amount of pixels as its predecessor, consisting of about 7,680 by 4,320 pixels. 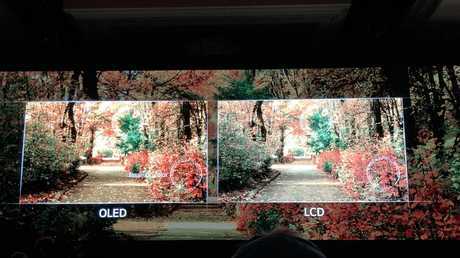 As a result, the top 8K TVs coming to market boast a whopping 33 million pixels. The bigger your TV is (and the closer you sit to it), the more likely you'll actually be able to tell the difference between these levels of picture resolution. 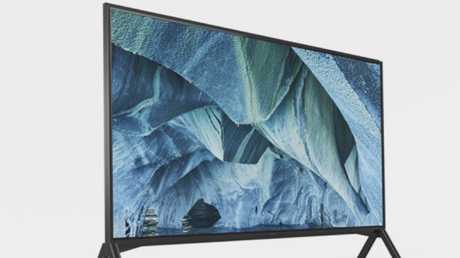 There's no doubt 4K resolution looks fantastic, but unless you're sitting about an arm's length away, your eyes can't really decipher those extra pixels anyway. Suffice to say, 8K is getting a bit carried away. The optimal distance to sit from a 60 inch 4K television to truly appreciate the added resolution is about 1.2 metres - 8K makes that distance ridiculously smaller. All the major brands had their 8K TVs on display at CES this week and they were pretty spectacular. You can stand inches away and the picture is flawless. But unless you want to buy a giant TV and sit right in front of it all night, 8K isn't going to make a major difference to your life. So, if we have 8K televisions all of a sudden, does that mean the stuff we're watching was produced with 8K capability? None of the major content providers like Netflix, Amazon Prime, or movie studios have been making much noise about producing content in 8K. Netflix's former Chief Product Officer once told Digital Spy he wasn't interested in the extra pixel density. "8K is only interesting if you're going to sit too close to the TV," he said. At best, it will take a couple more years before we see any content natively produced in 8K. Sony's head of TV in Australia and New Zealand, Aki Hosoda, said there is no 8K content available. "But the market is growing and for TVs 80 inches and above, you need 8K for that super high resolution." Sony announced a huge 98 inch 8K TV at CES, however only a 85 inch version will be coming to Australia. The company has also introduced a professional-grade broadcast camera that shoots in 8K, at 120 frames per second (UHC 80300). A Sony spokesman confirmed: "The 2020 Tokyo Olympics in Japan will be filmed and broadcast in 8K in Japan." Sony is promising to bring an 8K TV to Australia in the near future. However just because there is no 8K content available doesn't meant these TVs are wasted. They are all packed with powerful chip sets that can "upscale" or convert the content into something that's close to true 8K. For instance, the Alpha 9 second generation intelligent processor on board LG's 88 inch 8K OLED TV due out this year harnesses deep learning processes to not only upscale content to "near 8K", but also adjusts the brightness and contrast of the picture depending on the ambient lighting in your living room. However the 8K TVs on display at CES played native 8K content from an external drive, so I'm yet to see these upscaling powers in action. We may struggle to enjoy 8K anytime soon, thanks to our famously sluggish internet. You need an internet speed between 15 and 25Mbps to reliably stream 4K UHD, so the demands of 8K will easily be double. 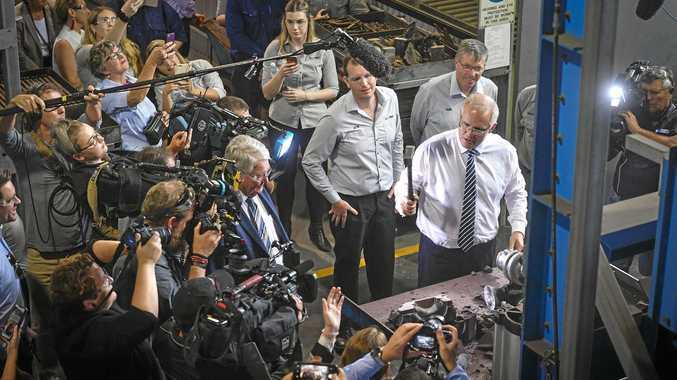 As the NBN rolls out, more and more Australians will have access to this level of internet speed, but unless you're purchasing a top tier NBN package, 8K viewing is probably out of the question in most Australian homes. With all forms of new technology, you have to pay a high price to be an early adopter, but it's probably not worth it. When it comes to choosing a TV, it's more important to look at the different display and pixel technologies employed by manufacturers, rather than simply their number. Brands differ slightly in how they aim to boost brightness, achieve perfect blacks and produce a wide colour gamut and offer different options at different price points. The most important distinction is between LCD/LED and OLED screens which basically denotes the different ways to illuminate the pixels on the display. LCD (liquid crystal display) TVs offer much higher screen luminance whereas OLED (organic light emitting diode) TVs offer precise control per pixel. Instead of having a constant light source at the back and a panel to either allow the light or block it out like LCD and LED TVs, with an OLED display only each pixel that needs to be on will light up. As a result OLED is capable of a perfect black picture with no light leakage, providing better contrast. This "perfect black" is referred to as zero nits and is currently only possible on OLED displays. LG is the only maker of OLED panels, and many other brands buy them before applying their own technology to the end product. However Samsung - a bitter rival of fellow Korean-based LG - has backed a different horse. It has QLED displays (the Q stands for Quantum-dot) which use a film of tiny crystal semiconductor particles that can be precisely controlled for their colour output. Samsung's QLED display are still backlit and is widely considered a step below OLED. 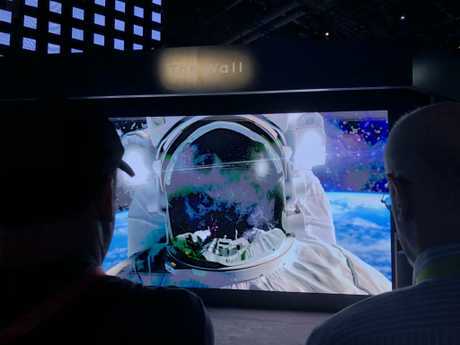 However Samsung's new MicroLED technology which is only just coming to market promises to give OLED a run for its money and was on display at CES in a massive, bezel-less display that has the selling point of being modular. Different companies also have their own versions of motion smoothing technologies designed to eliminate any blur during fast moving shots - something particularly important for sports lovers. That's just an example of the kind of technology that is more likely to have a noticeable impact on your viewing experience.